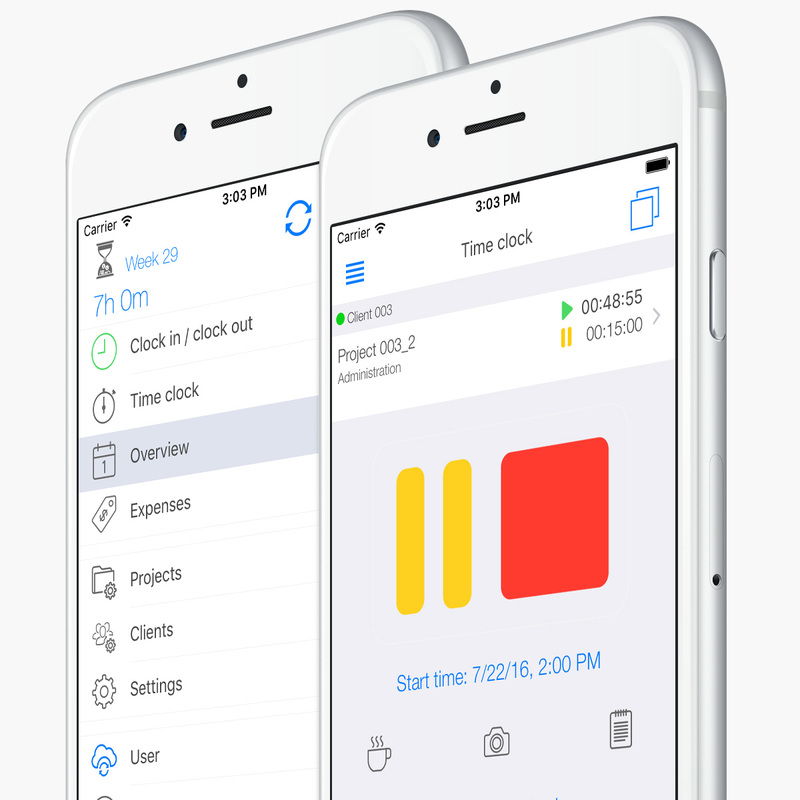 We started using the well known app for our project time tracking and are impressed! 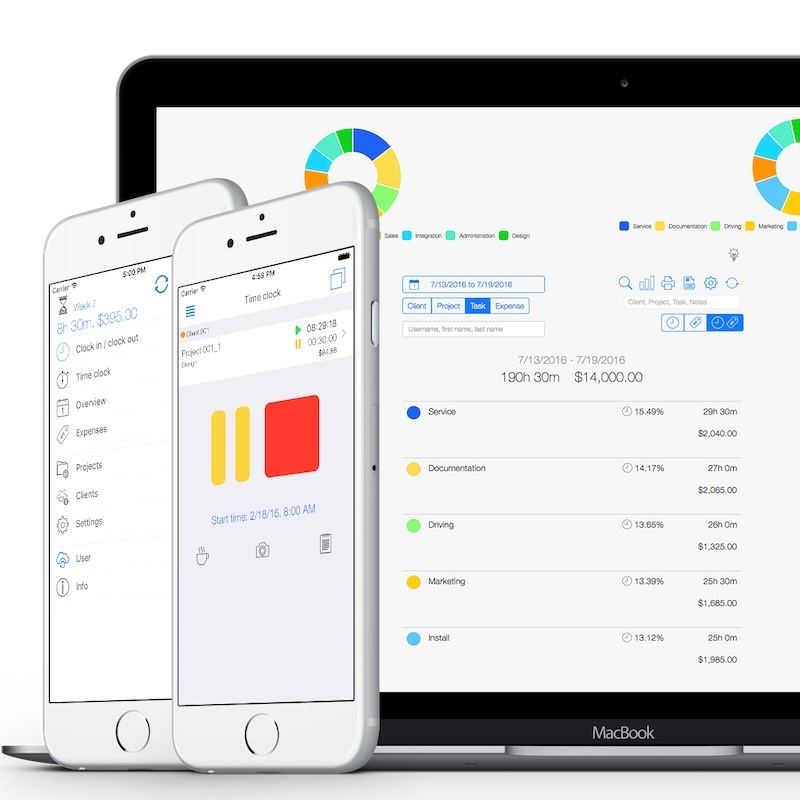 It is very user-friendly and great for project time tracking and synchronizations via iPhone, iPad as well as web browsers. And it guarantees maximal transparency! TimeTrack always knows when your team was working on a specific project. Employees just have to enter their working hours manually by selecting a pre-defined project or activity they spent time on. 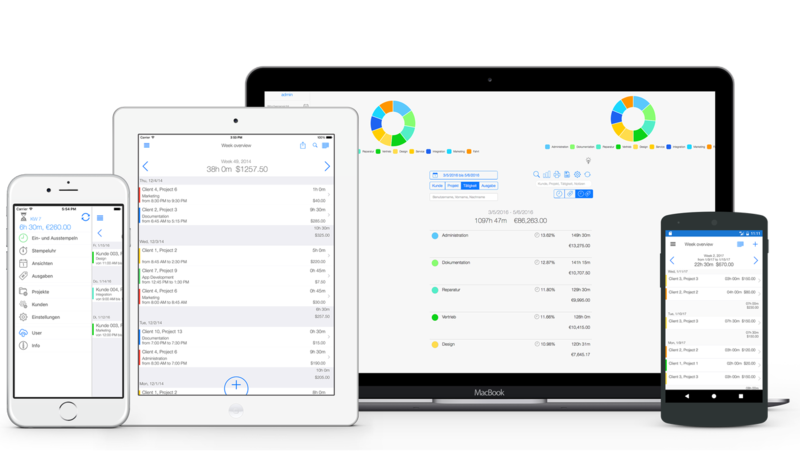 All the data is synchronized in real-time so that you can immediately access it on the web app or from your smartphone. We believe that nobody can improve if they are not aware of their efficiency level. Therefore, we provide a great overview of your budgets, expenses and tasks around every project you are currently working on. Who says you have to be in the office to record your working hours? Take your smartphone, press record and get going. Our automatic project time tracker automatically keeps that with your day. As soon as your task is done, the data instantly appears on your weekly overview. Easy right? The time tracker does not even require internet connection – it also works offline! There are many management tools that can give you a nice overview of the projects you are working on. TimeTrack is aiming for better. Our main goal is to get your company to the top. 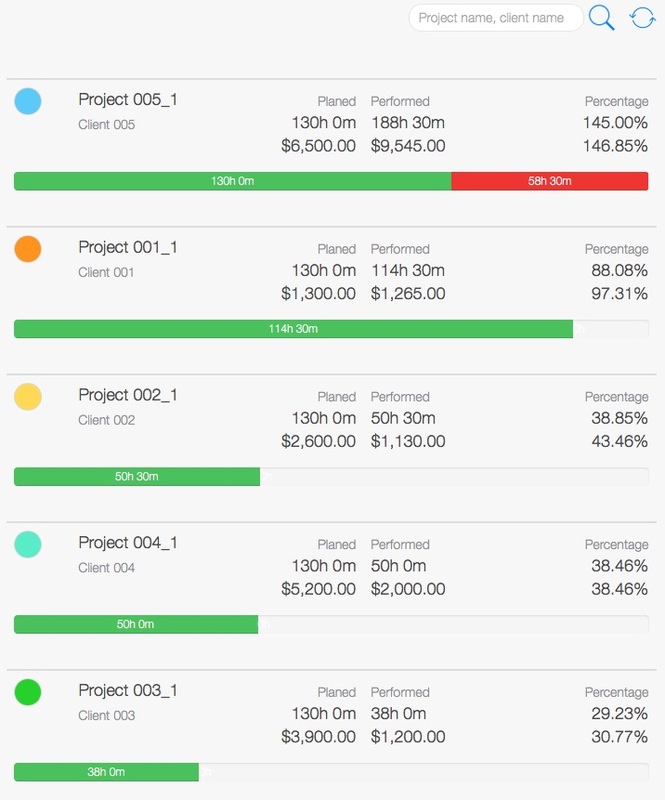 Our job is to be the online project time tracking tool, where you can visualize perfectly your team’s progress. We create reports and graphs to ensure that you get the best overview without wasting your time. So that you can spend your time on the things that really matter. Keep everything under control – a modern project time tracking tool is the base for good project tracking. 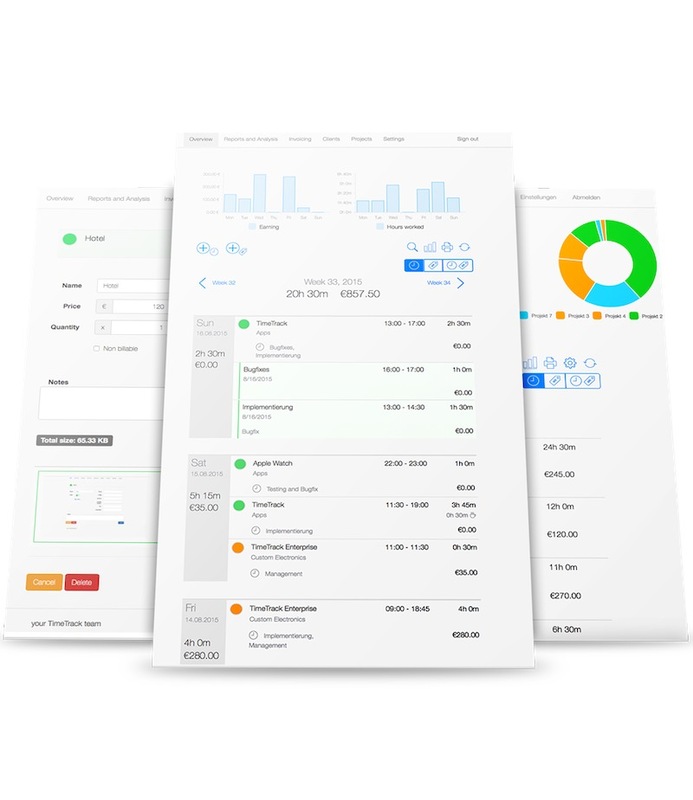 Are your expenses as high as you planned them? We guide you through the project planning process and help you visualize your progress by evaluating the nominal/actual state. 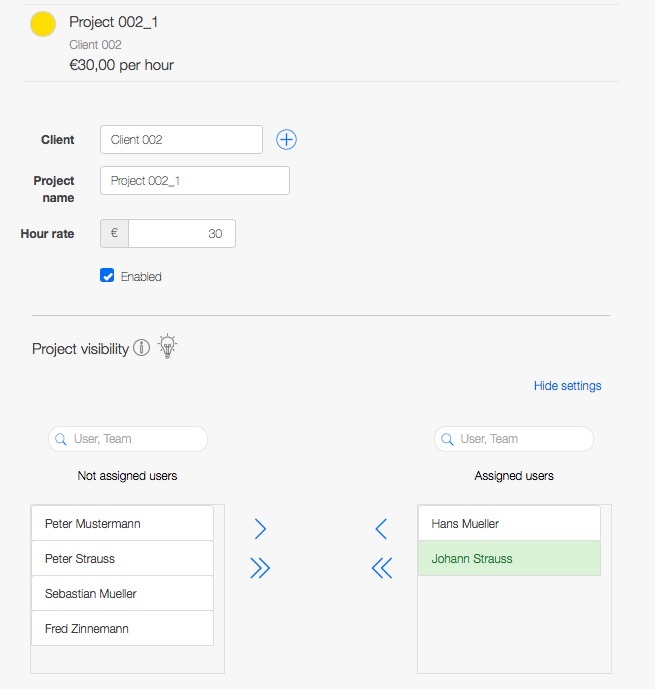 Moreover, you can see project returns, so that you continuously know if your team is working cost-covering. Many employees are working on different projects, so that the overview in the team slowly gets lost? Not with TimeTrack. You decide who can access specific client or project data. There are more than 50 user rights that can be assigned to employees. This way, you limit the user’s access to activities, so that they can only edit data of projects they are responsible for. We believe project time tracking should be easy and quick. Time is too valuable to waste it on secondary activities. Spend your time on the things that really matter. We want to give you the perfect overview of your projects and improve your team’s working process. Together, we will bring your company to the top.